It feels like I have been super lazy about updating the site recently, but I’ve actually just been playing a ton of games. Research, I like to call it. Sometimes you just have to stick your head in a book, and sometimes that book is a game. Getting back into writing, I thought I’d stop and share a few impressions on SEGA’s recently localized Hatsune Miku: Project Diva F for the PS3. 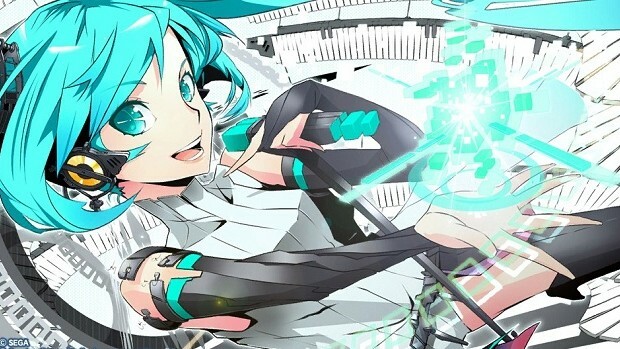 I know it’s not exactly a wild departure from my wheelhouse of writing about Project Diva titles, having spent much of the past 5 months grinding Diva Points in Diva f on the Vita and Diva 2nd/Dreamy Theater on the PSP and PS3, but for Miku curious gamers there are now some important considerations to take into account with this North American Miku release. If you’re unfamiliar with the Project Diva series, I recommend just going back and reading about Diva f, as I don’t want to go into too much depth here about the basic gameplay mechanics in the series. Also, to avoid confusion, note that there is a difference between Diva F (PS3 title) and Diva f (Vita title). Diva F has more songs and modules (an example of which you can see below), but other than that the game is more or less exactly the same across platforms. Playing Diva F on the home console has given me some time to think about my initial hesitation to fully embrace Dreamy Theater 2nd on the PS3. At the time, I was not yet convinced that a home console could replace a handheld as my platform of choice for a Project Diva game. It turns out that a decent stereo setup can compete with a good set of headphones in terms of audio quality and that the PS3 controller blows both the PS Vita and the PSP out of the water in terms of accuracy and comfort during longer play sessions. Don’t even think about playing this game with just your TV’s built in audio though. Enjoying the music is 50% of the game, so do it some justice. Having discovered the merits of PS3 based Diva games, I was pretty stoked to get Diva F in the mail, despite a horrible experience ordering from GameStop online to get the exclusive pre-order modules and themes. It should be obvious but bears repeating: never shop at GameStop unless you absolutely have to. I mentioned that the Diva F is very similar to Diva f, but note that star notes are absolutely terrible in comparison. Because there are no touch controls in Diva F, you hit star notes by flicking either analog stick, but it seems so imprecise that you can get through most any star not section by just rapidly waggling both analog sticks in random directions. Star notes weren’t my favorite part of Diva f either, but at least the novelty of the platform’s touch controls made them bearable. Playing Diva F reminds me that star notes represent the worst change in direction for the series from Diva 2nd, because they’re so incompatible with a game that is otherwise about perfect timing and long chains of precision button presses. It is extremely frustrating to miss a perfect song result because you biffed a fiddly star note, especially when most of the time you don’t have any clue as to how it could have been done any better. Another problem only became apparent by contrast after playing lots of Dreamy Theater 2nd. 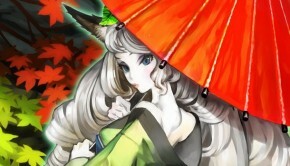 The song patterns in Diva F, especially extreme difficulty, are more punishing than fun. Compared to Diva 2nd, they seem to rely more on rapid button presses than clever patterns, and the problem is made worse by a reliance on technical zones and chance time for good song results, making random timing missteps more harmful to your result than they were in previous games. This along with the star notes can result in some real frustration when you’re chasing a perfect score on a song over multiple plays. In these ways, both Diva F and f represent steps backwards from Dreamy Theater 2nd, which makes me worry a little about the direction of the series. 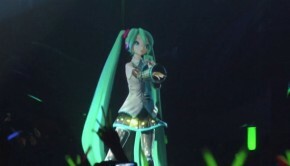 Overall though, I think this is a fine Project Diva game. The music is top notch, and while I’m hard pressed to decide between F/f and Dreamy Theater in terms of overall song quality, there is an undeniably wider variety of music in Diva F. The new songs are also mostly great and the videos are spectacular. While they can at times be a bit of a distraction from the game itself, they are to me the most redeeming improvement in the series since the overly simple videos in Dreamy Theater 2nd. 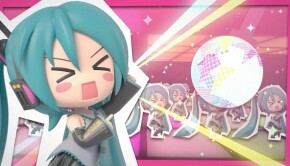 If you’re not inclined to go through the absurd expense and hassle of importing Diva 2nd on the PSP and then buying Dreamy Theater 2nd on the Japanese PSN, Project Diva F is at the very least a great first step into North America for the Project Diva series, even if it’s not my favorite.